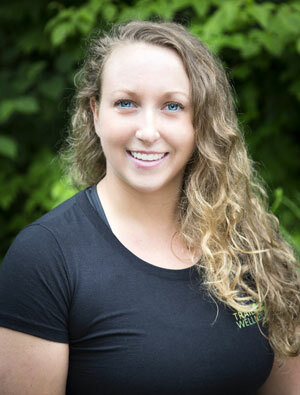 A Lyndonville area native, Stephanie started her career in the fitness field in 2002, when she was certified through the American College of Sports Medicine. She worked at the Club at Old Mill, teaching fitness classes, including strength training, spinning, kickboxing, senior fitness, and personal training. Later, she worked for Dan Wyand Physical Therapy where she aided clients in rehab exercises. It became clear to Stephanie that both exercise and massage are important tools to help the body stay strong and balanced, so she expanded her fitness education by studying massge therapy at the Green Mountain Massage School. Upon graduation, she opened her own massage and personal training practice in St. Johnsbury. Her love of the outdoors prompted a move to East Burke, where she and her clients can enjoy being close to Kingdom Trails, Burke Mountain, and the myriad of outdoor recreational opportunities available in the East Burke area. Stephanie hopes Trail 2 Wellness will provide convenience for her clients by offering a number of healthy services under one roof, such as yoga, nutrition, personal training, small group fitness classes, massage, and other spa treatments. Laura Lanoue was born and raised in the Northeast Kingdom. She graduated from Wellness Massage Center and Institute in St. Albans, and works as a Certified Massage Therapist. She specializes in swedish, deep tissue, sports, accelerated healing, prenatal, shiatsu, reflexology, hot stones, aromatherapy, foot scrubs, body scrubs/wraps and chair massage. Laura derives deep personal satisfaction from her work - "It is personally rewarding when I can help people feel physically comfortable, relaxed or energized, and mentally happy." When not working, Laura likes to spend her time swimming, hiking, camping, golfing, snowboarding, and doing yoga. 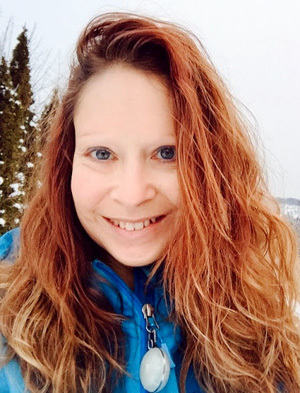 Born and raised in Lyndonville, Jen completed her yoga certification program through Heart Space Yoga Studio and is a Registered Yoga Teacher through Yoga Alliance. Jen’s classes are inspired by her love for nature and outdoor activities, as well as her inquiry into personal growth and evolution through the practice of Yoga and Meditation. Her sessions are both grounding and uplifting, guiding students to safely deepen their practice and open their hearts. Relaxation to reduce stress is a focal point as well as helping cultivate mind/body awareness while increasing flexibility and strength. Her intention is to share methods of alignment that help individuals connect to living healthy and active lives for as long as possible. Jen’s interests include hiking, mountain biking, camping, swimming and travelling. Janice Narey has lived in Barnet since 1987, when she and her family moved from Massachusetts. She was a nurse for 34 years and obtained her Master of Science Degree in Nursing in 2012. Janice has been a Reiki practitioner since 2014. She has a Third Degree Reiki certification in Usui Shiki Ryoho and a Jikiden Reiki Shoden (Reiki I) certification. While working at DHMC, she was a Reiki volunteer for the Children’s Hospital at Dartmouth Code Lavender program, a program developed to provide support for the CHaD staff after they experienced stressful events. She also provided Reiki support for other departments through events sponsored by the chaplaincy department. Janice retired from Dartmouth-Hitchcock Medical Center in 2016 after working there for over 28 years. She has had a Reiki practice in St. Johnsbury and Barnet and is a Reiki volunteer at Norris Cotton Cancer Center North in St. Johnsbury. Reiki is translated as: spiritually guided life force energy. This universal energy flows through all things. A person’s energy can become stagnant when there has been physical or emotional injury or pain. Practitioners of Reiki learn to help to remove these areas of stagnation and thus improve the flow of energy. This improvement in energy flow can help to provide relaxation, reduce stress, reduce pain, and assist the body in its natural healing abilities. Karen is a native of the Northeast Kingdom of Vermont and earned her 200 hour RYS certification from Heart Space Yoga Studio. She also has her YACEP certification to teach Trapeze Yoga through YogaBody in Barcelona and is registered through Yoga Alliance. Currently she is offering Yoga Trapeze classes to beginners and intermediates and is available for private Trapeze and mat yoga sessions. She offers a range of traditional yoga classes from Restorative Yoga to allow your body to completely rest through simple movement, props for support, and guided meditations to a Vinyasa Flow class designed to awaken the spirit and infuse the body with energy for a hearty day of trail riding or skiing, or simply to prepare you for the day. When not teaching Karen enjoys nature photography in the scenic northeast, biking, hiking, kayaking, skiing, scuba diving and traveling. 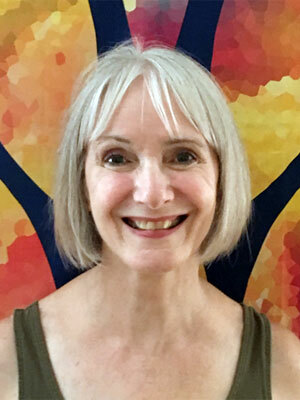 A graduate of Touchstone Healing Arts School of Massage, Sage Mountain, The School of Evolutionary Herbalism and Yoga Vermont's 200 hour YTT, Améla has over 17 years experience in the healing arts field and is currently enrolled in an in depth certification program for Biodynamic Craniosacral Therapy. Honoring the body as a microcosm of the universe, Améla's goal is to foster each individual's unique expression of health and through this foster the health of the planet. Her integrative approach to Massage Therapy utilizes Swedish, deep tissue, acupressure, myofascial release, hot stone, reflexology, aromatherapy, and intuitive touch. Each session is tailored to the client's needs, helping unwind current and chronic tension patterns in the body. Holistic Herbal consultation fosters a greater expression of health through herbal formulation, diet, and lifestyle recommendations. Biodynamic Craniosacral Therapy is a gentle yet powerful form of bodywork that honors the body’s innate intelligence and health. The practitioner works with the body’s natural tidal flow of cerebral spinal fluid, the muscular-skeletal system and the nervous system. It may help release held tension and trauma in the clients system and may assist the client in finding a greater expression of health and wellbeing.